Is the 2017 Miami Dolphins Season Over? Seriously? 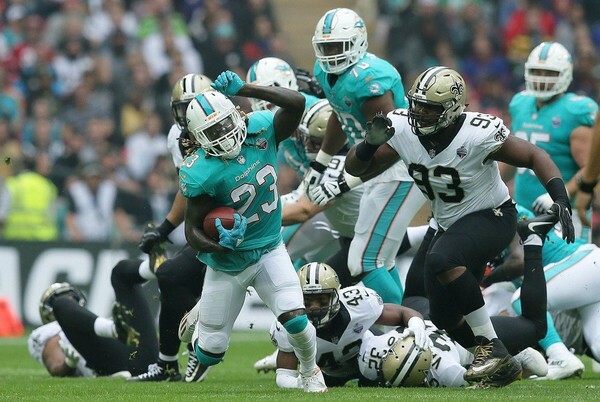 The Dolphins will make their fourth regular-season visit to London and face the New Orleans Saints on Sunday, Oct. 1 at 9:30 a.m. Eastern time. Miami is 1-2 in its previous games in London, defeating Oakland in 2014 and falling to the N.Y. Giants in 2007 and the N.Y. Jets in 2015. If you are a Dolphins fan, the game last Sunday against the rival New York Jets was so painful to watch that it is even harder to comment about it. This is one game that you simply want to forget, but there are still many questions that need to be answered as we head into Week 4 with a contest against the New Orleans Saints in London.